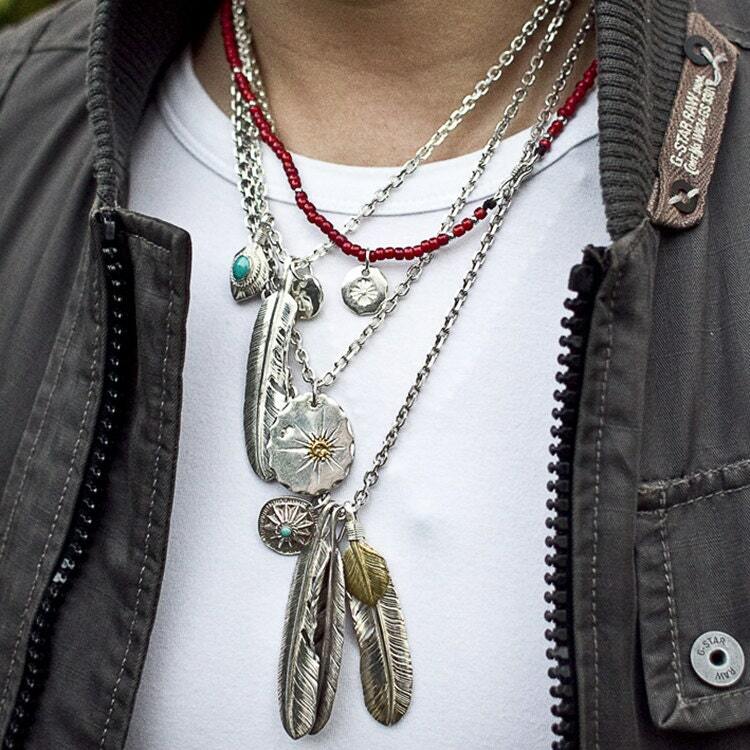 The oval silver pendant is crafted in 925 sterling silver, its design inspired by Native American symbols. 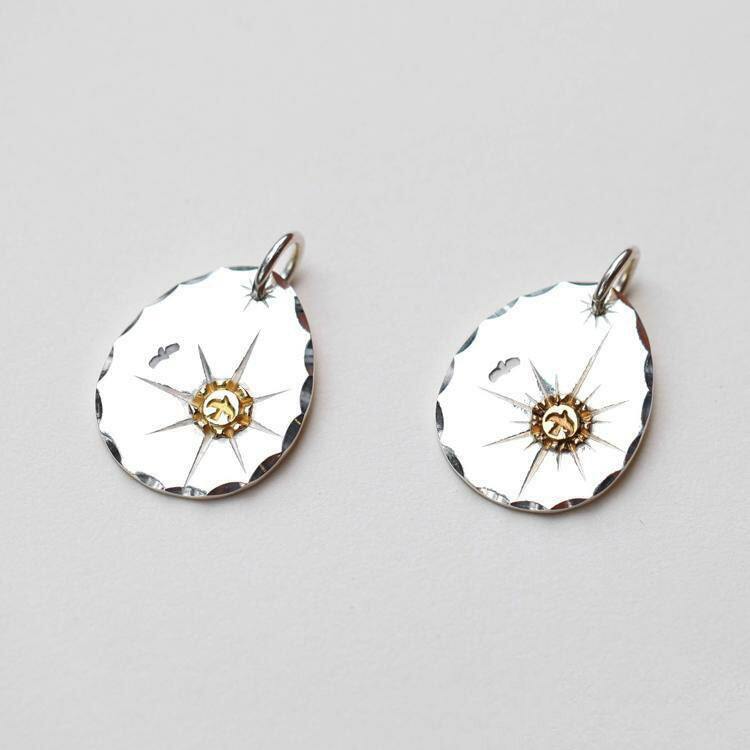 Available in two finishes - original polished and vintage oxidized. The simple, oval shape of the pendant lends an air of easy elegance, while the scalloped edges a bit of spice to the plain design. 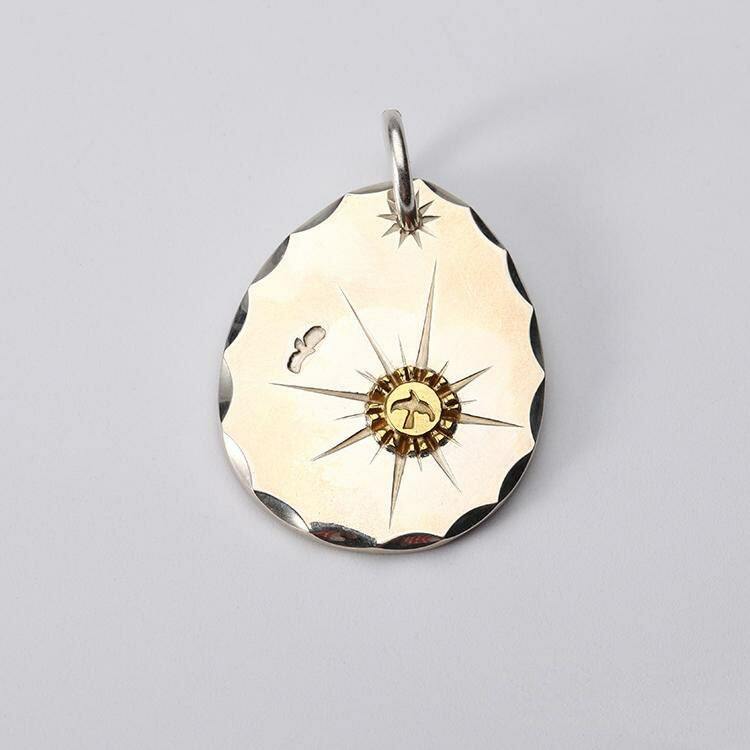 A flying bird charm is set in the face of the pendant - against a background of a rising sun, its rays framing the flying bird. 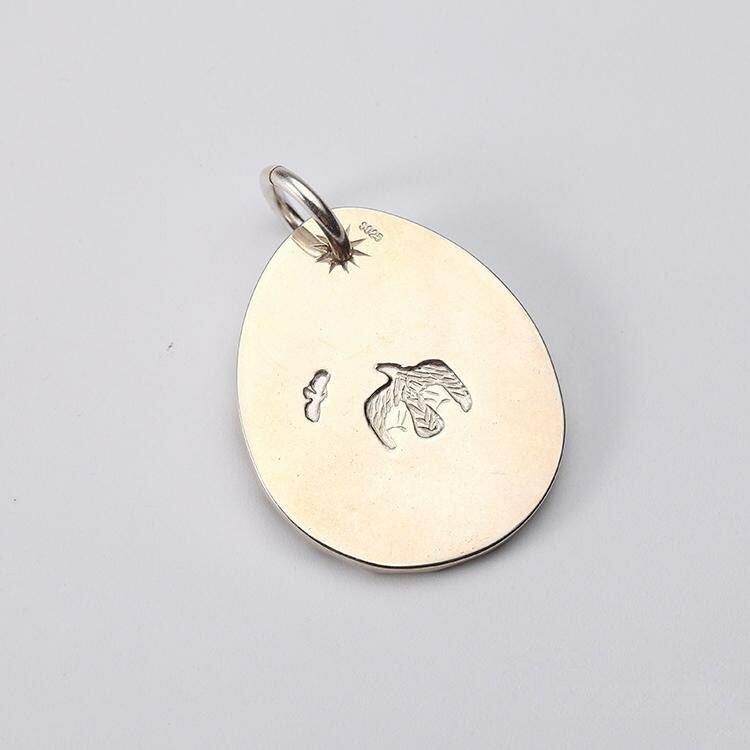 The flying bird charm is available in a choice of 18K gold or brass. 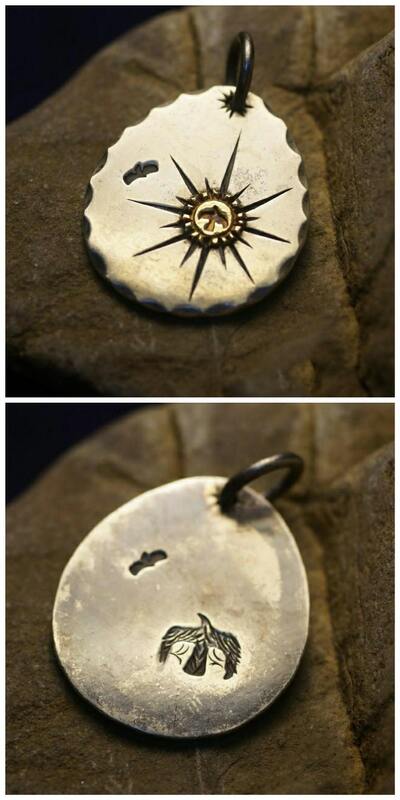 Another flying bird symbol is engraved on the reverse side of the pendant. We can personalize your silver pendant by engraving your name or initials on the back of pendant (in LARGE CAPS, up to 7 characters). You can also choose numbers,❤,&, and (.) little dots. All Letters Size 1/8" (2mm). Just leave us a note when ordering.